My step-father died in Tampa, FL in August. The day before leaving for his funeral I stopped by the library. At the library book sale my intuition caused me to purchase a book by my mentor, Psychic Medium James Van Praagh, as I often purchase extra copies of my favorite books on intuition, psychic mediums and past life regression therapy to share with my clients. Packing for the trip, I felt compelled to put Van Praagh’s book in my carry on bag, even though I had no intention of reading it on the flight. I wondered why I was doing that. As I boarded the 7 a.m. Albany, NY to Tampa, FL flight, I made sure to get an aisle seat up front. I also assumed, since the flight was not fully booked, that no one would sit in the middle seat and I could relax and spread out. Taking my seat, I noticed two young children in the seats in front of me. “Uh-oh,” I thought, “I’m going to change my seat in case they are restless.” I turned around to ask a woman three rows back on the opposite side to save me the aisle seat in her row while I gathered my bags. When I went to move, a man took the seat while she was looking out the window! Just then, a woman walked up to me and said “This seat looks good” as she sat in the middle seat next to me. My little egotistical self was disappointed, as I wanted to guard my territory! I had purchased a book by a psychic medium spontaneously, unexpectedly put it in my carry on bag, tried to change my airplane seat and was thwarted, and now a “stranger” had taken the middle seat that I wanted to stay empty! What a blessing that my ego was overruled! Within the first five minutes, my seatmate “Janet” shared that she was returning from her brother’s funeral in New York. She was devastated by his death. 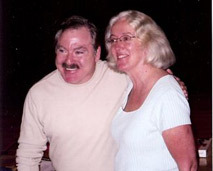 As she began to weep and share her story with me, I pulled Van Praagh’s book out of my bag and told her that it was for her. She began to read it in flight. Then we continued a deep and meaningful discussion about life and death. She remarked that this book was just what she needed. Janet and I will be “friends forever.” Our hearts opened to each other in our grief and brought us joy and kinship. Trust your intuition and you will be in the right place at the right time! Would you like more support developing your intuition and connecting to your spiritual guides? Give me a call at 413-274-0286 and let’s discover how I can help you. Trust your gut and listen to your inner voice. I’d love to tell you more about this ability that we all have. great story! I love how your intuition and synchronicity overruled your ego. God does put us exactly where we need to be and when we are open the gifts are overflowing. I have a very long story that shows how this has worked in my life as well. I will keep it brief. When I was 13 I was enrolled in a very high end all girls private school in Boston. I was a poor kid and didn’t fit in. I was acting out because I was very unhappy there and ended up being expelled, which caused much shame and feelings of being unable to do anything right. My mother, unfortunately was furious and hid my expulsion from my father, so I carried this shameful secret for years. When I was in my early 30s, waitressing, getting divorced, raising 3 small children, I became very depressed and sought therapy. I found a wonderful woman who during the intake interview I told the story of my expulsion. She stopped me and said “I don’t normally do this, but I feel compelled to share this with you. In 1975 I got a job as a school counselor at this school because they had a student they didn’t know how to help. That student was you. If I had been there, things would have been different”. I cannot tell you how much of an impact this synchronicty meant in my life. Just this past Saturday my nose bled while we were visiting my boyfriend’s mother and I was just laying on the sofa. Haven’t had that in ages. Later back home I had a bad headache. My friend’s 11 years old boy had passed away from heart failure due to chemo all the away in Rio- Brazil, that afternoon after a 6 months battle and 3 weeks before the transplant could be done. Accepting any advice to help parents who a not spiritual at all. Thanks for sharing your story, Deborah. My condolences to your friend. It is so painful to have one’s child “die”, especially if one doesn’t have a spiritual perspective to get through the experience. One book that I find especially helpful is “I’m not dead, I’m different: Kids in Spirit Teach Us about Living a Better Life on Earth” by Hollister Rand. Perhaps there’s a message in this book that would be comforting and reassuring for your friend. I’m glad my story was helpful, Brandi. Pass the inspiration along. . . .
You are awesome,Carol!I believe that people pass through your lives for a reason!since having breast cancer 8 yrs ago,I’ve had the pleasure of meeting several survivors who’ve shared their stories and think we’ve been put together for a reason..
Dear Carol, Thank you so much for the story that you shared here. It is a great reminder to get out of the way of our ego and allow for what is supposed to happen for our own highest good and that of others as well. As the great (and recently passed) Dr. Wayne Dyer reminds us, when the ego is left in charge we “Edge God Out” (E.G.O) That little maxim has stuck with me. I trust my intuition and have taken great care to hone that 6th sense as it provides me with wonderful insight and, whenever I tend to override it, it’s an interesting noticing and, often a great lesson ensues. Recently, I went out to dinner to celebrate my birthday. I had my heart set on having a certain dish that this restaurant prepares that is my favorite. In fact, when I called to make the reservation, I almost asked them to save me one. Well, I didn’t follow that “hit” and guess what, they ran out of it (which they claim was a first!) I was disappointed, but persevered and ordered another dish which, upon first taste, didn’t not taste at all good to me. I ate what I could, not wanting to be a “pain” and send it back for fear I would look ridiculous because I didn’t get my way in the first place. So, with that override, I ended up with what I believe was a case of food poisoning and became quite ill. While this is a minor illustration about using our intuition for our best and highest good I believe it illustrates how we have access to so much information on a regular basis and that the divine spirit that connects us to this information does not hold back or differentiate by only giving us “big” messages. It’s quite a comfort. Now, if only to trust it implicitly and act accordingly each time without question or annoyance (as in your experience on the plane- believe me, which I could totally relate to!) Blessings to you and thanks again, for the great reminder! Carol has done readings for myself and people in my “circle”. She has helped many people to heal and feel good about themselves. Yours is a great story. I was recently on a trip and every time I got a chance to talk to someone (mostly in Uber or cab rides) I asked, not what they did but what they were “into.” One young woman is starting a business of her own, one young man lamented that he wasn’t playing music but had his name in the Rock and Roll Hall of Fame, one man told me all about his 3 kids all grown, happy and prosperous, one man told me about his family’s escape from Vietnam in the 70s and how happy he is to be alive and working and getting to know new people. I believe I am meant to connect with people and hold the space for them to know themselves better in a positive way. Each of these conversations ended in gratitude and heartfelt thanks and “I am so glad our paths crossed!” Love in action. We are here to lift each other, witness each other and care for each other. We are all family. And Carol, you have done this for me! Long before I knew better of such things, I began to “listen” to my intuition. I considered it a “gut response.” With time my thinking became refined and I learned to respond intentionally. Although I have had numerous more recent intuitive experiences, the incidence I wish to share happened nearly fifty years ago. My husband and I had been going together for a period of time during our senior year in college and he was interested in getting married. I had always wanted to be married, but was not quite ready to make a commitment. As we went back and forth on the subject, it became apparent to me that I needed to give an answer. It was at this cusp of commitment or parting that I felt the strong sense that I should not let our relationship end. Responding in the affirmative, I followed my intuitive sense. Years later I engaged in past life regressions and learned that my husband and I shared past lives and are, indeed, soul mates. I now recognize that we were intended to be together in this life and needed the guidance of my intuition to make the right life decision. Intuition to me means believing that you are in a place for a reason..to trust yourself. The ability to understand the universe is responding to you. Hi, Carol..Love your positive light! I agree, Sherrie. When we are in that place, if we keep all of our senses alert, we can also respond to what the Universe is calling us to do. Three years ago I moved home and took over managing my families 5 bedroom home. I couldn’t afford to live there alone so I advertised on Craigs list for house mates. The first person who responded told me she was a single mom, her daughter would not be living with us, and that she must be able to bring her old english sheep dog. She came to see the room that was available, “SUKEE’S” room. She looked at me and said NO WAY. Her dogs name is Sookie. For me beautiful coincidence. She and Sookie moved in the next week. I still needed another housemate to make ends meet. We. because now it was Sara and me interviewing potential housemates, met another single mom looking for a house share. Lisa, she brought her daughter with her. She looked at the room known as THE CAPTAINS QUARTERS. She left loving the room but hesitant to make the move as her job as the Director of Human Resources at two hotels was not secure. She said she wouldn’t know for 2 months. Sara and I met 2 more potential housemates. Neither felt…right. Sara asked me couldn’t we just wait until Lisa was ready? That was Just what I was feeling so we waited a month. Lisa called and said she would not be able to take the room. Sadly we kept looking for our third mate. One week later Lisa called and said, ” Is the room still available ? I have to move NOW” All three of us knew that she was meant to be here. We have been sharing this house now for nearly three years. We often comment on how amazing it was and still is that three strong, opinionated women, five animals live together. I am so relieved that we followed our intuition and waited for Lisa, rather than allowing my need to makes ends meet and take the next potential housemate. Thank you Carol! I met with you once and your work saved my aching heart years ago! Your comments show how profound even one past life regression therapy session can be. I’m so glad that you’re doing well. Well, about a month later a woman called, responding to an ad-flyer, LOSES WEIGHT, GAIN ENERGY I had pinned to the post office bulletin board. She wanted to purchase my product! (the only person that ever responded to my ad, by the way). During our lively conversation I was struck how we couldn’t stop talking. There was an uncanny resonance—like I knew her. As Zayne states, Moriah “completed her Earth Mission March 24, 2015” but she is still blessing us with the incredible love and wisdom she has shared with so many. Carol, thank you for sharing this story. My experience involves a book and an unexpected interlude as well. I was attending a Shadow Process Workshop and was given the opportunity to select a book by my mentor, Debbie Ford. I wanted “Why Good People Do Bad Things,” but when I went to reach for it, a small voice told me to pick up “Spiritual Divorce.” I listened, not really understanding at the time, but knowing in my heart, when the whisper happens it is best to listen. Later that day, I ended up sharing a cab ride to the airport. The man sitting next to me was struggling with his relationship to his son. We talked about it all the way to the airport and I could tell he had deep shame around his role as a father and the void between his son. I also knew the book I had been given was for him. I explained as I handed it to him, that despite the misleading title, it was a book about relationships, taking ownership of our part and healing the wounds that keep us from being close to those we love. We have only spoke once since that event and he spoke of his gratitude. I didn’t know it then, but he owns a multi-million dollar business in China. I trust that our brief exchange and the book he was meant to read, have led him down a different trajectory in the way he relates to others. “I listened, not really understanding at the time, but knowing in my heart, when the whisper happens it is best to listen.” This is so true, Julie. It’s amazing how often we ignore this voice. I’m glad that you didn’t ignore it and that you were able to make a difference in this man’s life. My intuition is to add to this thread. I didn’t notice any correspondence before, but in the last few weeks I have been busy back in the Berkshires renovating my grandmother’s house. For the last 2 years I was living in California studying yoga therapy. I went through a double whirlwind one year in greater LA and another in greater San Francisco. After a painful and serious scare when a surf board hit my throat in February – I felt alone and practically mute teaching students who also couldn’t speak (ASD). I learned about my grandmother’s house becoming available after 25 years that was rented as used as employee housing. My father’s employee died due to complications from a motorcycle accident and through a process of working with lawyers my parents were claiming their house back while his adult children lived there rent free and held late night parties. My parents were ready for me to live in it- something I had wanted a dozen years ago. The house was abused, trashed by generations. Hells angels treaded inside and punched holes. A large dog was paced and was not let out and the floor was left foul and full of stench. The orange cigarette sludge on the walls, hard water rust left untreated, and drain stoppage. Besides the pot they grew and caused black mold and water damage. The worst is the fact they pulled out my grandmothers’s blueberry bushes. I am back, my voice recovered. Like a turning a kaleidoscope putting my life together as an educator, artist, and yoga therapist with guidance from my grandmother who hasn’t forgotten me on the other side. WOW, Melissa, what a story. Welcome back. I look forward to connecting with you again. All these stories about intuition are beautiful. And really go to show “just go with it”. I wish I had. About 10 years ago, my husband was offered a new job at a new company. All the details for the new job sounded great and he was ready for change. Something in me keep saying no, stay with his current company. The company has been very good to him why leave. Well, long story short the new job did not work out at all. It has just been a disaster. I remember up to this day the “nagging” feeling in my stomach not to take the new job and I ignored it. Lessen leaned the hard way. Thanks, Jane, for sharing this story. Since this was your husband’s job, it’s a little more complicated–perhaps there was a lesson for him. Women do tend, in general, to follow their intuition more than men do. How did your husband respond to your feeling that he shouldn’t leave his other job?